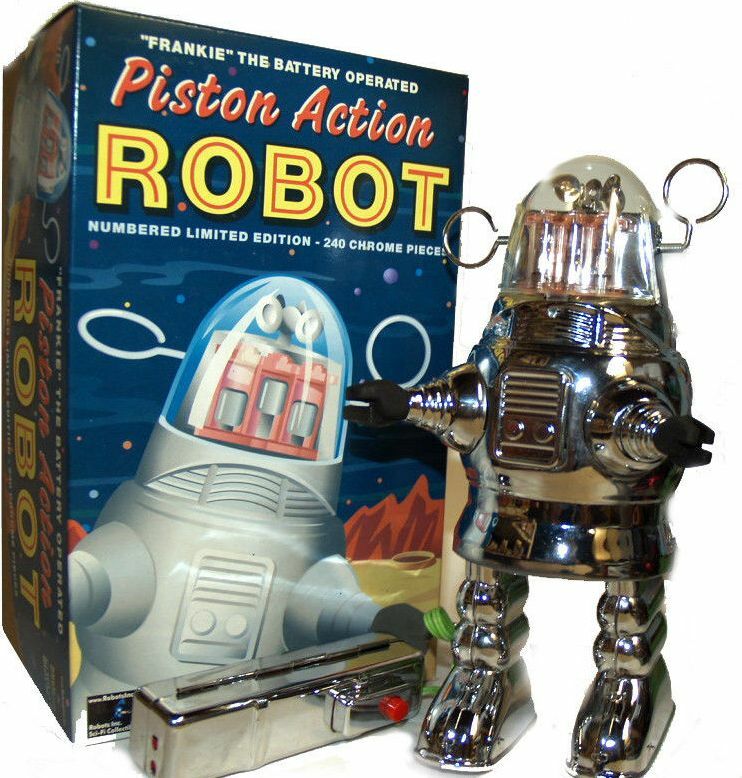 Chrome Piston Robby Action Robot. All Chrome limited edition of 240 pieces produced by Robot Island for Robots Inc. Great new look in bright and shiny chrome with all chrome controller. Battery operated functions include mechanical walking action, spinning antenna, and bouncing lighted pistons. 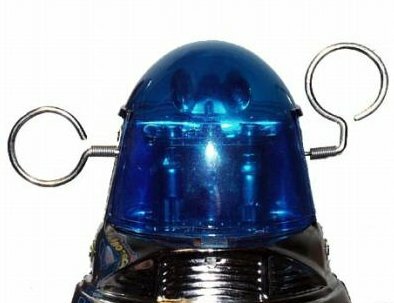 Only 24 produced in this series with blue translucent dome.